Today, the big killers in Western societies are the cancers , cardiovascular disease, hypertension and diabetes, most of which are preventable by diet. Immunity and obesity play a role in either reducing or elevating disease, and they in turn are both affected by the food we eat. 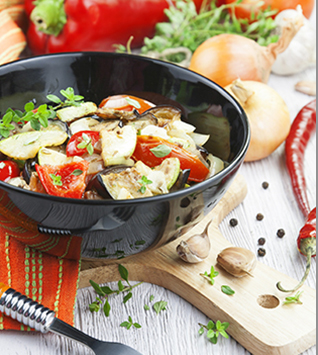 The Mediterranean diet has long been considered one of the healthiest diets in the world. The diet includes plant foods and healthy fats and is noted to protect against the development of heart disease. Good food is good for your heart - researchers at McMaster University found an association between good heart health and certain food groups or dietary patterns including vegetables, nuts, monounsaturated fatty acids, and overall 'healthy' dietary patterns, such as the Mediterranean diet. The study was published in the Archives of Internal Medicine. Fruits and legumes are high in soluble fiber, vegetable and whole grain are high insoluble, and most foods have combination of both. Numerous studies have show antioxidants such vitamin, selenium and coenzyme Q10 to be effective in both prevention and treatment of heart disease. Antioxidants are responsible for preventing oxidation of LDL cholesterol inside the arterial walls. Foods high in unsaturated fatty acids are an important part of a heart healthy diet. Please note that along with increasing unsaturated fat in your diet, you should also avoid saturated fats (founded in meats and dairy products) and trans fat, which accrue from the hydrogenation process of oils for same margarines to make them more stable and increase sheaf life). People have been eating olive oil for thousands of years and it is now more popular than ever, thanks to its many health benefits and its culinary usefulness. A study published in the American Journal of Medicine suggested that people who adopt a whole diet approach - such as a Mediterranean diet - have a lower risk of heart attack and cardiovascular-related death than those who follow a strictly low-fat diet. 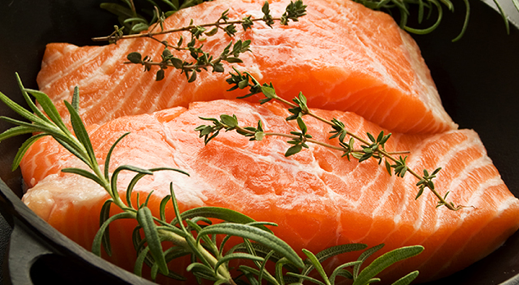 Fish oils contain omega-3 fatty acids that help prevent heart disease and stroke. Studies have shown that there is a difference in health benefits between different types of cooking methods for fish. Good to know: Oven-baked or broiled fish lower the risk of stroke, while fried fish or fish burgers increase the risk of stroke. Garlic has played multiple roles throughout its lengthy historical association with humankind. It is food, flavoring agent, disease preventative, health preserver, and health restorer. Garlic has been used to treat elevated blood pressure since at lease the early part of the 20th century. Garlic contains thioallys, including allicin. Allicin in garlic lowers blood pressure and reduces blood clotting, decreasing the risk for stroke and heart disease. Garlic is also high in selenium, a potent antioxidant that can help prevent cardiovascular disease and cancer. The chemistry of garlic is complex and dynamic. Allicine is only created when the enzyme aliinase interacts with alliin. Try this. Smell a whole healthy clove of garlic, then smash it with flat of a knife and smell again. The aroma instantly goes from nothing to intensely pungent. The creation of allicin happens that quickly. 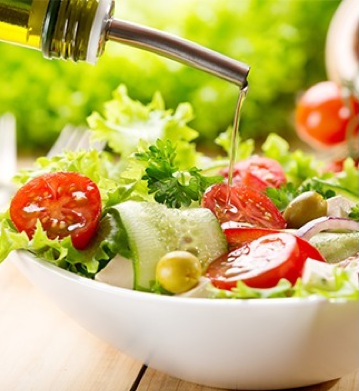 Extra virgin olive oil is the ideal choice for health-conscious consumers and Mediterranean food lovers who appreciate quality and health benefits of extra virgin olive oil. 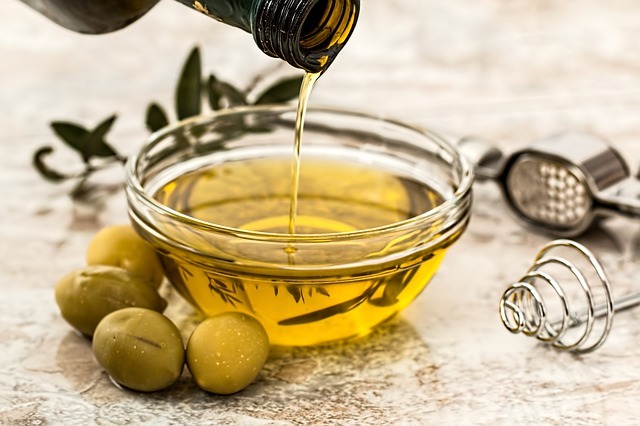 Olive oil is an essential part of the Mediterranean diet, which has been shown to reduce blood pressure and improve lipid profiles, even compared to a low-fat diet. Extra virgin oil is also a source of antioxidant and anti-inflammatory polyphenols and is high in monounsaturated fat. Polyphenol antioxidants are tremendously important for a healthy heart. Extra virgin olive oil is a great source of these polyphenols, but not all extra virgin olive oils are the same. 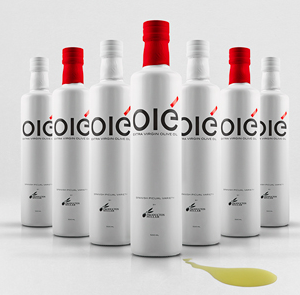 If healthy eating is your priority, then high quality oil as Olé oil will be the perfect choice.Compared to other olive varieties, Olé, - a premium “Picual” variety extra virgin olive oil from the Jaén region of Southern Spain offers outstanding levels of polyphenol antioxidants, making it an exceptionally healthy variety. As a result of using only the juice of appropriately ripened Picual olives, and a careful cold extraction process, Olé has been tested to have an exceptional 539 mg of polyphenol antioxidants per Kg – about three times the amount you will find in average EVOOs in a US supermarket. “Traditionally, from a gourmet point of view, Picual has been under-appreciated, when compared to other varieties such as Arbequina, Holjiblanca or Cornicabra. Fortunately, this is changing. In the last 4-5 years a handful of producers in southern Spain have committed to producing what we truly consider ‘premium’ Picual extra virgin olive oil”. Says Kyle Millar founder of Millar Trading Group. Due to its higher levels of antioxidants Olé provides a longer shelf life, higher smoke point and outstanding culinary versatility. Olé is great for salads, with meat, fish or pasta and even for pan-frying. You can keep an unopened bottle of extra virgin oil in a cool, dark place for a year or more (depending on how fresh it was to begin with). Once you open it, use it within a month or two. The primary source of pomegranate’s benefits came from its antioxidant contents. Pomegranates contain three types of antioxidant polyphenols, including tannins, anthocyanin, and ellagic acid, in significant amounts. It is also an excellent source of vitamin C. This delicious and fun-to-eat fruit is also important due to its benefits on the cardiovascular system. Pomegranate juice has been shown to reduce the oxidation of LDL cholesterol, protect the arteries from becoming thicker. 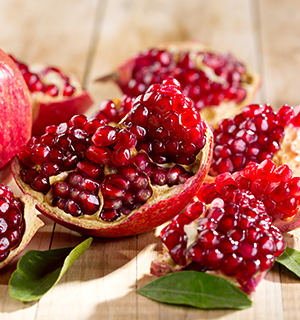 Choose pomegranates that have smooth skin, free from any bruises or mold. At home, store the fruits in cool dark place at room temperature for 5-8 days or more. In general, they possess a long shelf life. You can also place them inside the refrigerator for a couple of weeks. Apples are rich in pectin, a soluble fiber that is effective in lowering cholesterol levels. Pectin in apples cleans up and binds cholesterol in the intestines, preventing it from being absorbed into the bloodstream. Apples are also rich in bioflavonoid quercetin, a multipurpose nutrient that contributes to heart health. Quercetin acts as an antioxidant and regenerating levels of vitamin E.
Apples are high in pectin, a soluble fiber that absorbs 100 times its weight in water. Studies show that pectin, the soluble fiber found in apple peel, is comparable in result to cholesterol-lowering drags.